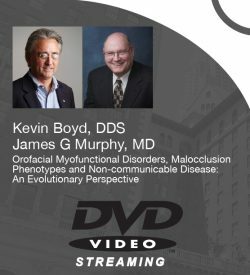 The interaction between oral-facial structural growth and muscle activity starts early in development and continues through childhood. Chronic oral breathing is an important clinical marker of orofacial muscle dysfunction, which may be associated with palatal growth restriction, nasal obstruction, and/ or a primary disorder of muscular or connective tissue dysfunction. It is easily documented objectively during sleep. Treatment of pediatric obstructive-sleep-apnea (OSA) and sleep disordered breathing (SDB) means restoration of continuous nasal breathing during wakefulness and sleep; if nasal breathing is not restored despite short-term improvements after adenotonsillectomy (T&A), continued use of the oral breathing route may be associated with abnormal impacts on airway growth and possibly blunted neuromuscular responsiveness of airway tissues. Elimination of oral breathing, i.e., restoration of nasal breathing during wake and sleep, may be the only valid end point when treating OSA. Preventive measures in at-risk groups, such as premature infants, and usage of Myofunctional Therapy (MFT) (where breathing re-educaton is a part of MFT) as a part of the treatment of OSA are proposed to be important approaches to treat appropriately SDB and its multiple co-morbidities. 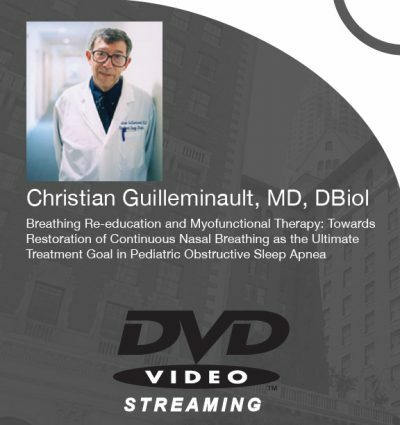 Dr. Christian Guilleminault is a physician and researcher in the field of sleep medicine who played a central role in the early discovery of obstructive sleep apnea and has made seminal discoveries in many other areas of sleep medicine. Guilleminault continues to be a prolific researcher in the field of sleep medicine and has authored over six hundred articles in peer-reviewed medical journals to date and has won several awards for his research in the field of sleep medicine. He was a founding member of the Association of Sleep Disorders Centers in 1975 and was elected to be the first editor of the journal Sleep in June 1976, a role in which he continued to serve until 1997. 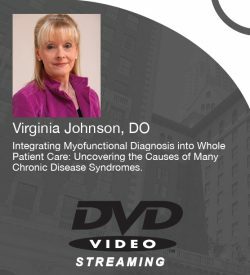 He continues to practice clinical medicine and contribute to research endeavors at the Stanford Center for Sleep Sciences and Medicine.